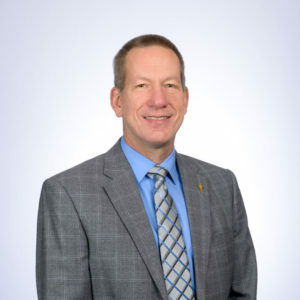 Steve Borden is a retired Navy captain and became the first director of the Pat Tillman Veterans Center upon his retirement in 2012, following 29 years of service. While in the Navy, he primarily served as a helicopter pilot, but also had the opportunity to be assigned as Naval Attache to the U.S. embassies in Quito, Ecuador and Santiago, Chile. His final assignment was as the founding command officer of the Naval Reserve Officers Training Corps at ASU. The Pat Tillman Veterans Center serves over 5500 military, veteran, spouse and dependent students at ASU. Beyond serving as a connecting point for veterans, the center is focused on helping them make successful transitions from military service to the academic environment and then on to their new careers.